Myself and my friend Jen went for a run this morning; I know we’re very good, I just can’t walk now! I took my camera with me just in case I spotted a lovely dog and I did! At first I thought that he was a German Shepherd but as I got closer I realised that he wasn’t. 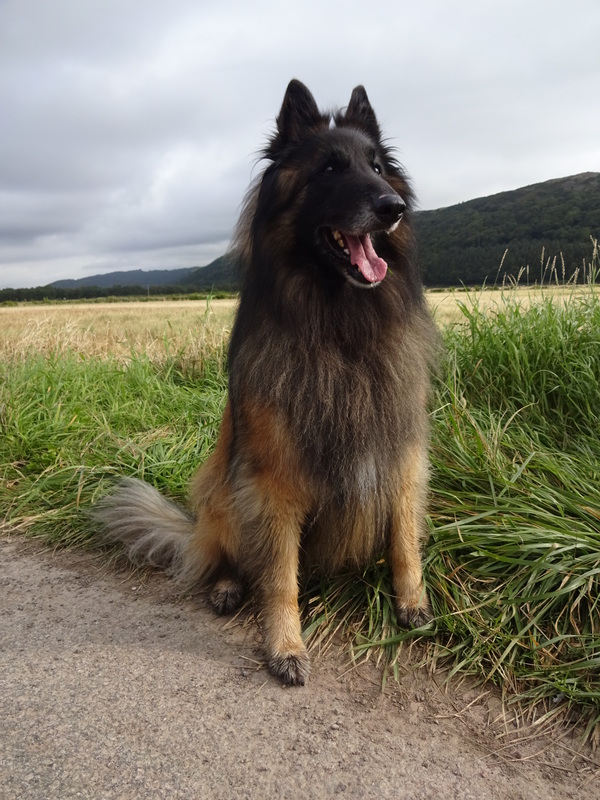 I was sure what he was, I thought he might be a cross between a German Shepherd and a Rough Collie but it turns out that he’s a Belgium Shepherd Dog; absolutely gorgeous! Zadok is a friendly, smiley boy, I gave him lots of strokes. Zadok is named after a Handel piece of Music. Zadok is his humans’ 5th Belgium Shepherd Dog, they really love the breed; I can totally see why. They first got a Belgium shepherd Dog when they went to visit a breeder in Cartmel and they feel in love!